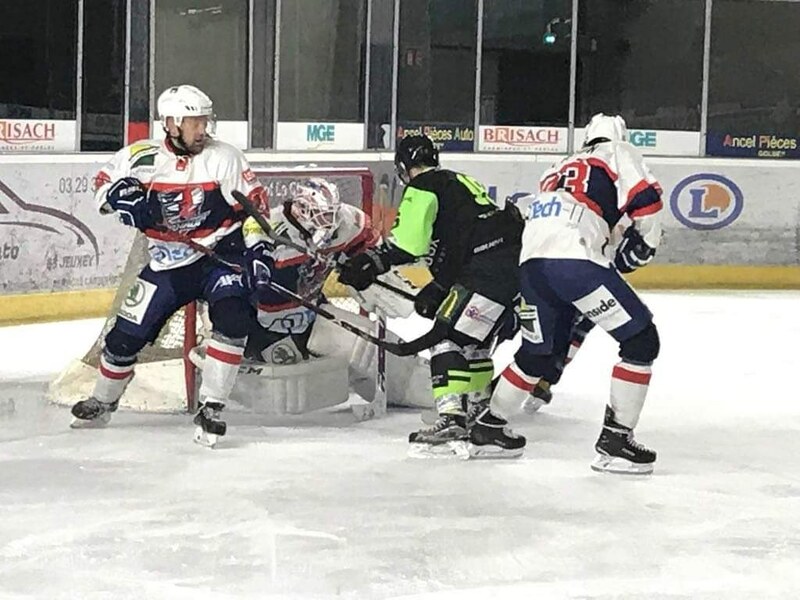 The group leader, Epinal Hockey Club didn't give Tornado a chance on Saturday evening but took a clear 7-2 win front of 1700 spectators. It's nice to see that the local fans keep supporting the team even though their League Magnus team had to quit. Epinal has two really strong lines and they managed constantly to take the game to Tornado's defensive zone. In the beginning, Tornados managed to hang into the game but half way through the first period Epinal scored their first goal. After scoring another, two minutes before the end, teams went to the break with 2-0 on the scoreboard. In the beginning of the second period Epinal scored their third goal. After that Teemu Hinkula gave some hope for Tornado by scoring a goal with his magical wrister. The puck bounced off the goaile's shoulder and fell down into the goal and made his girlfriend jump in the stands. In the end however, that didn't scare Epinal, who also scored the next goal. The score after 40 minutes was 4-1 to the home team. Epinal started the third period by scoring during the first minute. Tornado's scoring leader Henri Öörni was the next player who scored from a rebound. Epinal scored the next two goals and the final score was a clear 7-2 victory to the home team. Have to say that Epinal is a good team who plays a nice hockey. Despite the loss, it was a good experience for Tornado players as well. It was also nice to have Mikael Äijälä for a week with the team when he came from Ireland to Luxembourg during his holidays. Also Jesper Miquel had a solid game and many spectacular saves. Next weekend Tornado will be chasing again their first home game victory when Reims arrives to Kockelscheuer. It seams that the team is performing a bit better in the away games so captain Scheier had an idea that maybe next weekend we should arrive to Kockelscheuer by bus. Written by Teemu Hinkula, 28/10/2018 11:37.